Four major changes to the individual tax code go into effect on Monday, January 1 and end on December 31, 2025 due to sunset provisions: Lower tax brackets, an expanded child tax credit, an increased exemption amount for the alternative minimum tax, and a doubled exemption for estate taxes. Cambridge Insight: To the extent that a standard deduction can be considered a "zero tax bracket," then it should be noted that a "zero tax bracket" under the TCJA can be as large or even larger when considering personal exemptions. The standard deduction for tax filers moves from $6,350 for singles, $9,350 for heads of Household, and $12,700 for joint filers to $12,000, $18,000, and $24,000 respectively. The personal exemption (currently $4,050 per eligible exemption) is eliminated. The Affordable Care Act (ACA, also referred to as “Obamacare”) mandate is eliminated, and no penalty can be imposed on individuals who do not wish to enroll in a health insurance plan effective starting in 2019. The TCJA repeals the "kiddie tax" that applies parents' tax rates to the children's unearned income once income reaches a specific threshold. After December 31, 2017, the unearned income of children will be taxed at the trust and estate rates. The tuition waiver benefit is preserved by the final bill. The House Bill would have taxed tuition waivers as ordinary income. Cambridge Insight: Most taxpayers will have no need to itemize with the doubling of standard deductions, simplifying their tax returns and making it easier to file. The $7,500 credit for the purchase of an electric car is gone, starting in January 2018. The child tax credit is doubled from $1,000 to $2,000 per eligible child. Additionally, the phase-out is increased from $110,000 to $400,000 of adjusted gross income for those who are married filing jointly. AMT is retained but with higher thresholds and phaseouts ensuring the wealthy pay some form of tax. Beginning in 2018, the exemption amounts are increased and the phaseout thresholds rise to $1 million for joint filers and $500,000 for all other taxpayers. These figures are indexed for inflation before the AMT reverts back to the current law in 2026. The TCJA doubles the estate and gift tax exemption for decedents dying between January 1, 2018 and December 31, 2025. The increased, inflation- adjusted exemption amounts for 2018 are doubled to $11.2 million for single filers and $22.4 million for joint filers. After December 31, 2025, the exemption amounts would revert to the prior 5 million amounts plus inflation adjustments. Mortgage interest deductions are eliminated on home equity loans. Mortgage interest on home loans is limited to $750,000 for any home acquisition after December 15, 2017. The provision would expire in 2026. Medical expenses: The AGI threshold for deducting medical expenses is reduced from 10% to 7.5%. Charitable deductions: The AGI limit on cash contributions is increased from 50% to 60% from 2018 through 2025. The state and local tax deduction (SALT): Under the new law, taxpayers are limited to deducting a combined $10,000 in state, real estate, and sales taxes. Cambridge Insight: Some homeowners will be able to pre-pay some or all of their 2018 real estate taxes if the local tax authority permits and one does not escrow payments with a mortgage. This is a thorny issue so reach out to your accountant or local tax authority for guidance. There are slight changes to income thresholds for the 0%, 15%, and 20% rates beginning in 2018, and they do not match up with the TCJA tax rate brackets. Under previous tax law, the 0% rate was applied to the two lowest tax brackets, the 15% rate to the next four brackets and the 20% rate was applied to the highest tax bracket. The TCJA retains the 3.8% Affordable Care Act tax on net investment income for certain high income earners with the same income thresholds. The awful Senate draft bill “back door" capital gains hike on individual investors did not make it into the final bill. Taxpayers will continue to be able to select which shares of securities they sell or gift using the first in, first out (FIFO) rule from a pool of identical securities with different bases. One of the most significant changes under the TJCA is the tax treatment of businesses. U.S. corporate tax rates are now competitive with many other countries, and it’s expected to spur investment in equipment, buildings, and labor. The TJCA permanently cuts the corporate tax rate from 35% to a flat rate of 21% after December 31, 2017. Pass-through entities are allowed a new deduction for the lesser of 20% for qualified pass-through income or 50% of W-2 wages paid with respect to the business income to bring the rate lower. The deduction is not affected whether the owner is active or passive. However, it can get tricky since the deduction is subject to new restrictions and limits. Certain service businesses are prohibited from benefiting from the lower rate. Disqualified service businesses are defined as: law, health, investment management, partnership interests, engineers, and architects to name a few. For a closer look at how the new rules will affect various pass-through entities, check out this piece by Forbes contributor, Kelly Phillips Erb. Going forward in 2018, there are considerable areas of ambiguity in the TCJA that will create planning challenges for many tax filers (and additional revenue for large accounting and tax law firms). As with any sweeping legislation changes, possible amendments to rectify unintended consequences of the new law will evolve as practitioners become familiar with the TCJA. Consider potential changes in income and personal circumstances in light of potential tax law changes. Accelerate or prepay deductions in 2017. Why? Higher tax rates this year = more valuable deductions plus potential complete loss of certain tax deductions in 2018. Prepay your 2018 property taxes (the new threshold is $10,000) if the local tax authority permits and you do not escrow payments with a mortgage. Pay down your home equity line or refinance your home mortgage. Consider AMT: Defer or accelerate income and bonuses to the extent possible. If you would like to read the conference report here (downloads as a large pdf - 1097 pages). Sources: The Tax Cut and Jobs Act of 2017, H.R.1, 115th Congress; Wall Street Journal Online; Bloomberg News; Forbes.com; CNBC News; The Heritage Foundation.org; Reuters News. 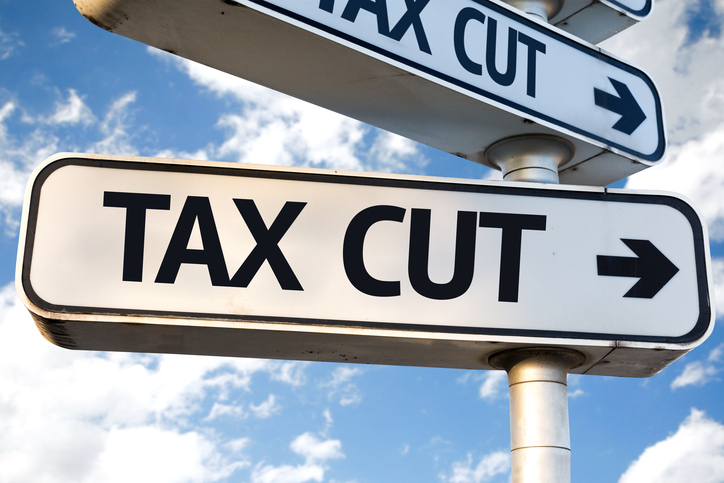 The Tax Cut Plan: What’s in it for you? The proposed Tax Cut and Jobs Act (TCJA), which is making its way through Congress, would be the first major tax reform in over 30 years. Under TCJA, corporate tax rates would move from 35% to 20%. Trump’s tax plan called for collapsing seven tax brackets to three. The proposed plan in the House has four tax brackets, and the Senate’s plan still has seven brackets. Standard deductions are doubled in the both plans, and itemized deductions are eliminated except for charitable and home mortgage interest on loans up to $500,000. The Affordable Care Act (ACA, also referred to as “Obamacare”) mandate would be eliminated, and no penalty would be imposed on individuals who do not wish to enroll in a health insurance plan. The sweeping tax code rewrite that President Trump promised during his campaign has finally passed the Senate, and it’s headed for final reconciliation with the House version of the plan. As expected, Republican fiscal conservatives, except for Senator Corker, set aside their principles and gave Trump what he wanted: “massive tax reduction.” While the reduction in the business tax rate is substantial, marginal rates should have been reduced significantly in the Senate version of the plan. Note: the Senate version of the plan does not reduce the number of tax brackets - a goal of the Congressional plan and President Trump. The standard deduction for joint filers moves to $24,000 for married taxpayers and $12,000 for individuals; the personal exemptions will be eliminated. The TCJA retains the 3.8% Affordable Care Act tax on net investment income. The Senate bill “back door" capital gains hike on individual investors is awful and it should be eliminated. Mutual funds got a carve out and are exempt from first in, first out (FIFO) while individuals will be forced to sell their most highly appreciated assets using FIFO. Alternative minimum tax (AMT) remains partially in place ensuring the wealthy pay some form of tax. Itemized deductions are eliminated other than charitable and mortgage interest. Most taxpayers will have no need to itemize with the doubling of standard deductions, simplifying their tax returns and making it easier to file. There is an increase in the child tax credit. TCJA increases credit to $1,600 but only $1,000 is refundable. TCJA increases income levels at which Child Tax Credit phases out. Credits are complex and do not help simplify tax return filing. Property tax deductions are capped at $10,000 annually under both bills. The state and local tax deduction (SALT) is eliminated completely in both proposals. This is a very thorny issue and still under intense discussion. As we stated in our January piece entitled, “Trump’s Tax Plan: The Simplified Facts": “Fundamental tax reform is needed to promote economic growth, job creation, and international competitiveness. Our corporate tax rate is 10 points higher than the global average." U.S. corporate tax rates are now competitive with many other countries, and it’s expected to spur investment in equipment, buildings, and labor. The TJCA cuts the corporate tax rate from 35% to 20%. The corporate alternative minimum tax remains in place although Representative McCarthy of California is calling for a uniform corporate AMT. Technology companies, which benefit from research and development deductions, are hurt the most, hence the recent sell-off in the tech sector. Supporters of the Senate plan point out that corporate income is generally taxed twice — once at the company level and a second time when earnings are paid out to shareholders — so the proposal is fair. The TCJA will provide a deemed repatriation of corporate profits held offshore at a one-time tax rate of 10%. Enhanced expensing for manufacturers and Real Estate Investment Trusts: No surprise here — the new tax law favors Trump and his son-in-law’s business entities. In fact, commercial real estate may be the biggest winner under the proposed plan. Our tax code will no longer penalize small business owners in America — the backbone of our economy and the real job creators. Pass-throughs in the House plan move from a top tax rate of 39.6% to 25%, while prohibiting anyone providing professional services (e.g., lawyers and accountants) from benefiting from the lower rate. The Senate plan allows for a 23% tax deduction. Under the Senate plan, the deduction begins to phase out for anyone in a service business except those with taxable incomes under $500,000. Above $600,000, there's no deduction at all. Consider changes in income and personal circumstances in light of potential tax law changes. Prepay your 4th quarter 2017 state income taxes and 2018 property taxes (the new threshold is $10,000). Harvest tax losses to offset capital gains. Pay attention to the "wash sale" rule and wait 31 days to buy back the same security. Consider gifting a portion of your required minimum distribution (RMD) from your IRA direct to a charitable institution by December 31. Note: Charitable gifts to hurricane relief are deductible even for those who do not itemize. 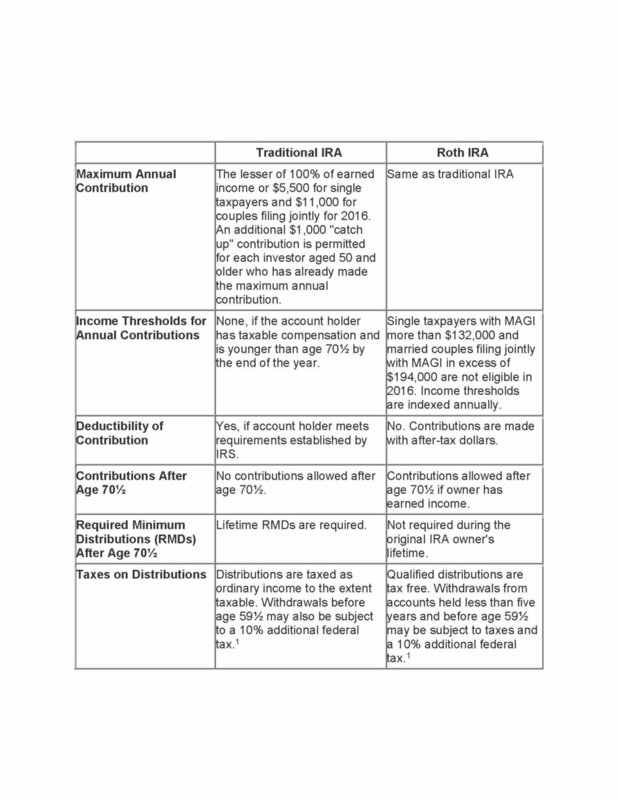 Delay retirement plan distributions and Roth IRA conversions. Consider AMT: Defer or accelerate income and bonuses. The end goal of tax reform is to make our tax system as fair as possible for everyone and promote growth. While these bills are far from perfect, especially for individual taxpayers, the business tax cuts are expected to spur investment in equipment, buildings, and labor. And that's good for all of us. We will keep you informed of material changes to our tax laws that may go into effect by Christmas. Sources: The Wall Street Journal Online; Bloomberg News; Forbes.com; CNBC News; Business Insider; Reuters News. Longevity risk: the probability that you will outlive your savings. We’re living longer, healthier lives and will spend more time in retirement than our parents did. Our approach provides you with the guidance you need to add clarity to your financial future. Partnering with you and best-in-class experts, we bring together all the facets of your financial life, ensuring that the four cornerstones of a smart wealth management strategy — asset management, estate planning, retirement planning, and tax planning — are working in harmony so you can get the most out of your retirement life. Am I investing properly for a comfortable retirement? Determining a proper asset allocation is critical and it should reflect the goals you are trying to attain as well as your tolerance for risk. With access to more than 12,000 investment options, the flexibility of an open architecture platform allows us to build an extraordinarily competitive investment portfolio for both growth and protection. What will happen to my assets upon my death? You want to create a lasting legacy for the people and causes that you care about. With smart, holistic planning, we can help ensure that your wealth passes as you want it to and a significant portion doesn't end up in the hands of unintended heirs or go to the government. Will I have enough money to live my ideal retirement life? Retirement planning has two phases: accumulation and actual retirement. During the accumulation phase, we help clients in setting goals and implementing financial strategies to achieve them. Our retired clients rely on our ongoing expert advice so they can continue to enjoy the lifestyle they’ve earned. Social Security maximization strategies: There are many combinations of Social Security claiming strategies and rules on benefits are complex. We can help you avoid making a filing mistake that could end up costing you thousands of dollars annually for the rest of your retirement life. How can I minimize taxes on my retirement income? Taxes can generally be one of your larger expenses in retirement. We help you take advantage of tax avoidance strategies by reviewing your tax returns and implementing smart, tax efficient strategies, such as placing higher-yielding taxable assets in tax-deferred IRA accounts. First, we'll have a conversation about your most important priorities, the values that inspire you, and uncover your vision for retirement. Next, we'll agree on the areas that you would like us to review. We'll gather your financial data, analyze your current position, and design your retirement plan. On February 23rd, I had a second meeting with a couple nearing retirement. One spouse, whom I will call Sarah, is retiring the end of April. It was another brutally cold February evening. We were finally meeting again after two major snowstorms had postponed our second meeting. We began our initial meeting on December 29 by talking about Sarah’s retirement concerns. #1 CONCERN: You may have guessed it already…Sarah is retiring at age 62 and will not have a steady paycheck for the first time in a very long time. She's concerned about being able to maintain her standard of living. In fact, the uncertainty and anxiety are keeping Sarah up at night lately. GOAL: Create a steady paycheck at 70 - 80% of her current net salary. Sarah and her husband agreed to a financial planning engagement after our initial meeting that included an analysis of their budget, liabilities, Sarah’s retirement income plan, and their investment portfolio. Her husband, whom I will call Bob, is retiring in 2017 at age 64. Bob has a six-figure income, and when he retires, he will earn about 75% of his final pay. Bob is one of the few retirees today who has a guaranteed pension that includes health care coverage. Besides a few small student loans from their son and daughter’s education, they only have $35,000 remaining on their mortgage. • Student loans from her son and daughter’s college education are still being paid off — Sarah is concerned about meeting their cash-flow needs. SOLUTION: At the core of Sarah’s anxiety, like many pre-retirees is fear…the fear of making the wrong decisions with all the above options and not having a steady paycheck. Like many couples, Sarah and Bob have been too busy with life to address Sarah’s retirement planning needs. Fear, as we know, stems from a lack of knowledge, confidence, and trust. Sarah and Bob have worked with a few advisors over the years. However, their advisors were not Certified Financial Planners nor interested in completing a formal “cash flow-based” financial plan. I analyzed their budget and learned that $700 of their $1,200 monthly student loan payment would be paid off in two months. The remaining student loan balance at an 8% APR is only $8,000. After analyzing their current investment portfolio, I suggested rebalancing in line with Sarah's current risk profile and retirement income goal. Next, I suggested selling a Rochester NY municipal bond holding (a great time to sell as it holds Puerto Rico bonds) to pay off the remaining student loan balance, solving an immediate retirement cash-flow concern. Further, the muni bond sale will generate minimal capital gains. We addressed all of the above bullet points and created five actionable steps for Sarah's pre-retirement meeting with her company HR department. I also suggested consolidating existing IRA's and other investment accounts with Cambridge to implement Sarah's immediate retirement income plan. Sarah and Bob agreed with my recommendations — they have accounts in many different places. I will be setting up a monthly electronic funds transfer (EFT) into Sarah's bank account from an existing annuity and one of her smaller IRAs (another tax-advantaged strategy). Sarah's perceived need to generate 70% of her income is no longer necessary as $1,200 of debt payments will be paid off over the next 60 days. In fact, once the EFT plan and her defined benefit plan payment are implemented, Sarah can suspend her Social Security and wait until age 64 to file for her benefit. At the end of our meeting, Sarah smiled and looked as if a huge burden had just been lifted from her life. She said, “I've been worrying about my retirement income — I should be able to sleep much better now.” I had helped Sarah cure her pre-retirement anxiety by defining a clear, practical retirement income strategy. Please stop by again. Ill share with you the solution I designed for Sarah and Bob’s Social Security strategy…it will surprise many of you! Thank you for taking the time to visit our site today. We will always begin a post with a favorite quote. This week's quote embodies some of the core values of Cambridge's business model. In the future, we will be posting financial life management case studies and tips. We will also share our market thoughts and strategy under our "Insights" tab. As time goes on, we will build out an interactive resource center at this location. We promise that the content presented will be relevant, devoid of industry jargon, and educational. It's our goal that we can encourage, educate, and thereby empower you to take action in your financial life with our posts. We welcome your feedback and look forward to helping you prosper by creating harmony in your financial life. It's good to have you here and please stop by again.